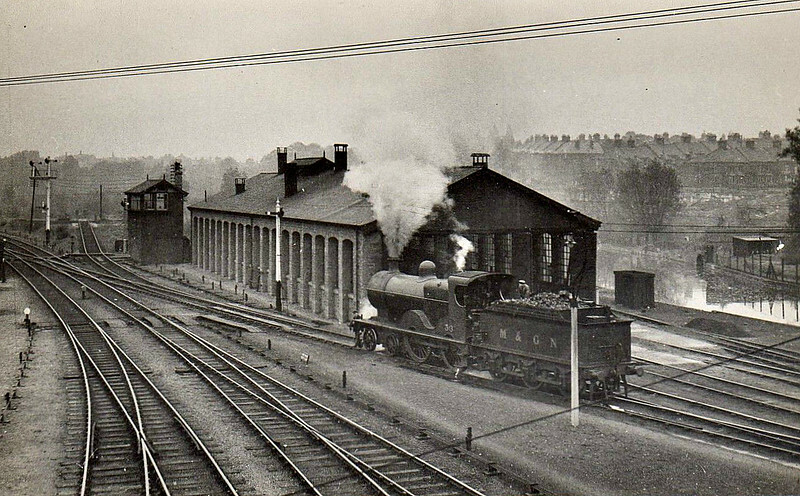 NORWICH CITY LOCOSHED - A large, three-road, single ended locoshed, built when the station was completed in 1882. It closed with closure of the system in February 1959. I think the loco is No.39 but I can't be certain.